GRAFTON REGIONAL GALLERY IS SITUATED in the heritage precinct of Grafton and is a cultural hub for the Clarence Valley. The gallery provides a dynamic program of exhibitions, events, education programs, tourism and museum services. Historic Prentice House is surrounded by a cottage garden with a cafe, which attracts visitors who wish to enjoy arts and culture in a tranquil environment. 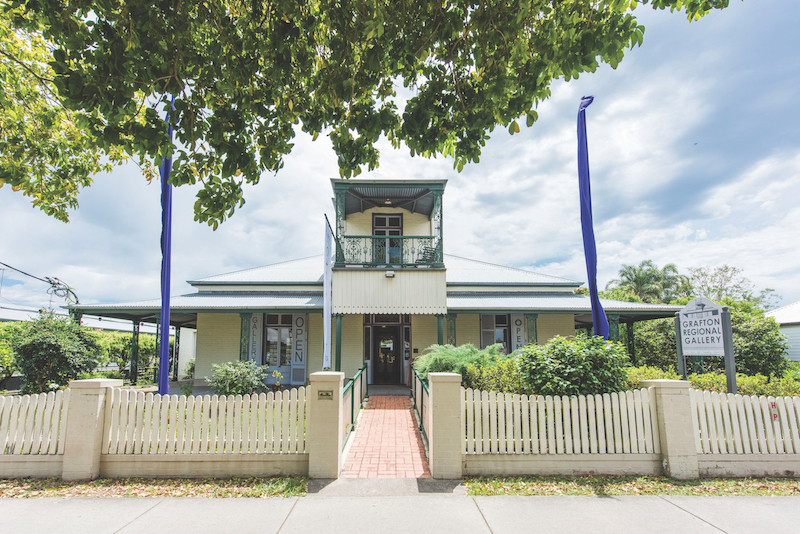 Grafton Regional Gallery was established in 1988 with a donation from the Jacaranda Art Society. The collection – formed the same year – now holds over 3,000 works, including pieces that celebrate the Clarence Valley region and significant holdings of works by Doris and Gladys O’Grady, John William Lindt and Ken Done. The gallery is proudly supported by the Friends of Grafton Gallery and the Gallery Foundation, both of which fundraise to assist in bringing outstanding exhibitions and creative experiences to the gallery, and in developing a significant collection for the region. Grafton Regional Gallery is well-known for the biennial Jacaranda Acquisitive Drawing Award (JADA), which supports excellence in drawing and extensively tours regional Australia. The 2018 JADA officially opens on Saturday 27 October. On alternative years to JADA, the gallery presents the biennial Clarence Valley Indigenous Art Award (CVIAA), which supports the Bundjalung, Gumbayngirr and Yaegl nations of the Clarence Valley.